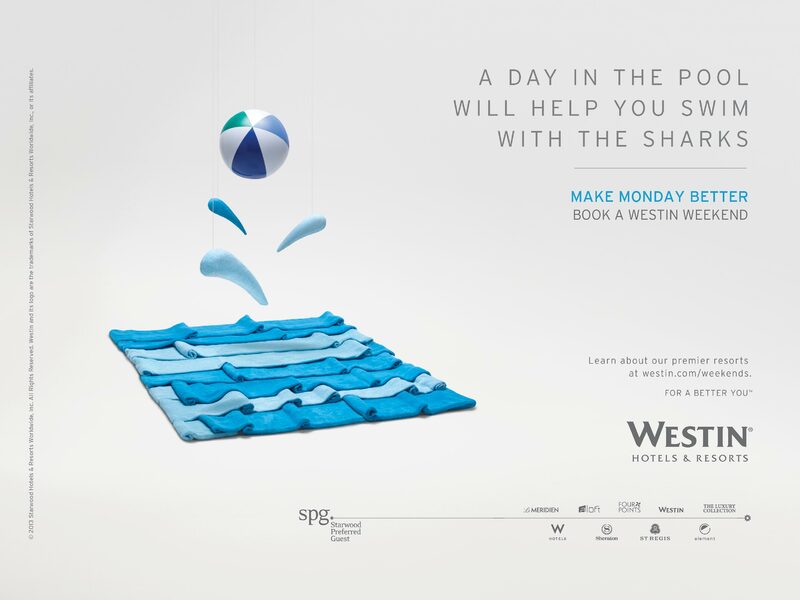 A weekend at Westin makes Monday better. 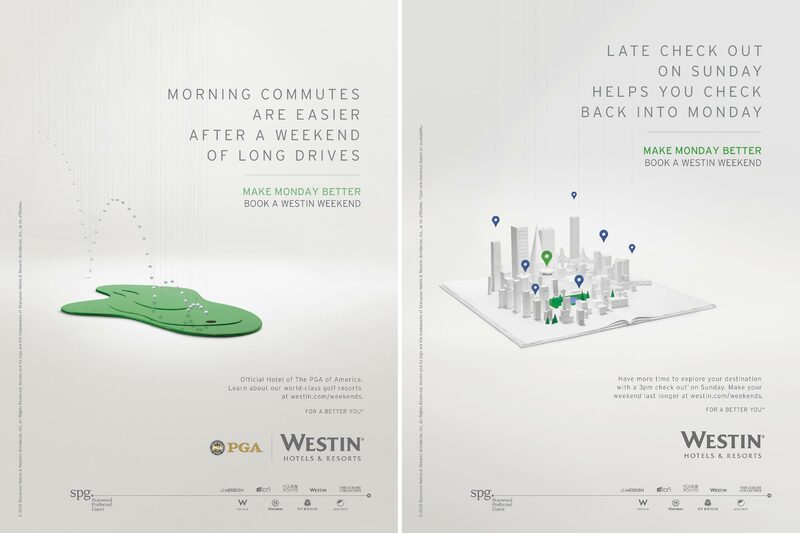 Westin launched a campaign that focused on the relaxation it provides. 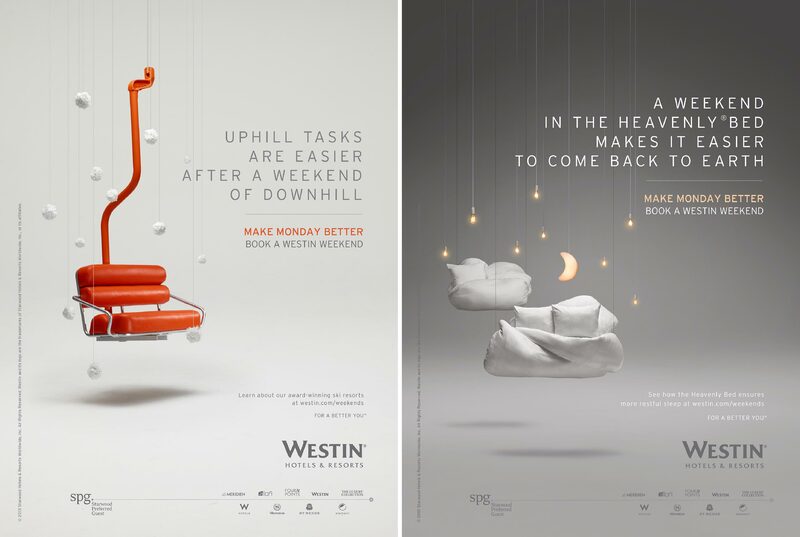 The campaign invited consumers to book a Westin weekend that would emotionally and physically relax them for a better looking Monday.